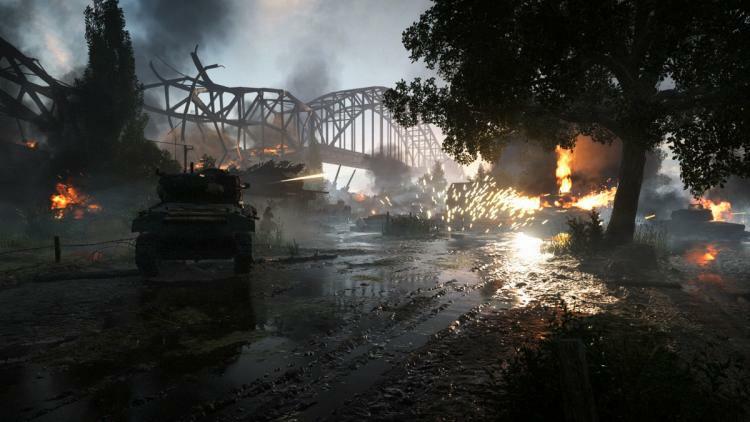 This morning EA's Battlefield V launched on Origin Early Access, and in something of a surprise twist included a day-0 patch which unlocked NVIDIA GeForce RTX features for the game engine. The release is a massive milestone for a technology which has undergone substantial criticism due to a lack of availability (and, it's fair to say, the price of hardware needed to run it). Battlefield V incorporates just one aspect of the GeForce RTX family of technologies - ray-traced reflections - and there are plenty more to be exploited in other titles soon. All will require GeForce RTX hardware, of which there are currently just three variants in the consumer space: the RTX 2080 Ti, RTX 2080 and RTX 2070. 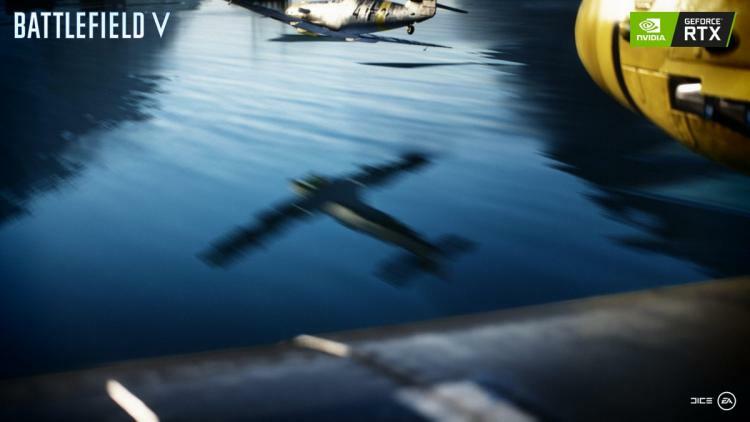 Three core support pillars needed to be in place for GeForce RTX ray-traced reflections to be implemented in Battlefield V. The most obvious were the launch of the game with RTX support at the application and driver level, but the final part was one that EA DICE and NVIDIA likely assumed would be long since enacted: Windows 10's October 2018 Update. The update, which unlocks API support for DirectX Ray Tracing (DXR), was withdrawn due to a series of critical problems unrelated to DXR. It's only today that Microsoft re-released the Update, hopefully with all the issues fixed. Preliminary independent performance and stability testing of RTX in Battlefield V is ongoing, but visually at least it's a feast for the eyes. However, NVIDIA have also revealed additional implementations of GeForce RTX technology that against all the odds are set to go live in the very near future. The first is Deep Learning Super Sampling support in the Final Fantasy XV benchmark. An update to the tool is scheduled for today, Wednesday November 14th, at 5pm PST (1am GMT on the 15th in the UK). Although it doesn't utilise aspects of real-time raytracing, DLSS does leverage the tensor core component of the Turing Shader Module to improve image quality as a sort of advanced anti-aliasing technique. Sadly, with the withdrawal of further development on the title by Square Enix, it's possible this feature will never be a part of the full game. MAS analyses objects in the scene to determine how fast they're travelling on-screen; faster objects on the peripheries of the screen can be shaded less often, whereas slower and closer objects require a finer lever of detail. Based on this motion information, the game calculates appropriate shading rates for each screen-space region and feeds it to Turing’s Variable Rate Shading hardware, which controls pixel shader scheduling. At this point the process is invisible to the game engine. The result should be faster render times with minimal reduction in image quality. CAS techniques analyse the complexity of objects in the scene and how quickly pixels change over time (or as NVIDIA puts it: spatial and temporal colour coherence). Uncomplicated areas of the screen that change very little over time can have a reduced shading rate in successive frames, once again improving performance. Although Wolfenstein II: The New Colossus perhaps isn't a title with the greatest need for a performance boost, it's an important proof of concept not only in terms of NAS technology itself, but also the process of retrofitting into existing games and game engines in a relatively straightforward manner.